Obituary for Theresa M. Kowaleska | Kaczorowski Funeral Home, P.A. 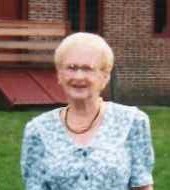 On Sunday, March 24, 2019, THERESA KOWALESKA, beloved friend of the late George James Bankard, loving daughter of the Adam & Veronica Kowaleski, dear sister of the late Rita Krystofiak, Clara Wolff, and Dolores Kowaleski. Theresa is also survived by many loving nieces, nephews and other relatives and friends. Visiting hours at Kaczorowski Funeral Home, P.A., 1201 Dundalk Avenue on Wednesday from 2-4 & 6-8 P.M. Funeral Mass in Our Lady of Fatima Church on Thursday at 10 A.M. Interment in St. Stanislaus Cemetery.